What better time to try an Easter Lemon & Coconut Cake than on Easter weekend?!? While this cake is probably my least favorite bake thus far, it was still a fun one to create! This is a longer, multi-step recipe, so grab yourself a cup of coffee (or beverage of your choice) and cozy in for this read! Weigh your 4 eggs (in their shells) on your kitchen scale. Use this weight to determine how much butter, sugar, and flour you'll need. Let cool completely. You can store this in an airtight container as needed. Since the icing sets quickly, do this step ONLY when you've already assembled the cake and you're able to ice it immediately. 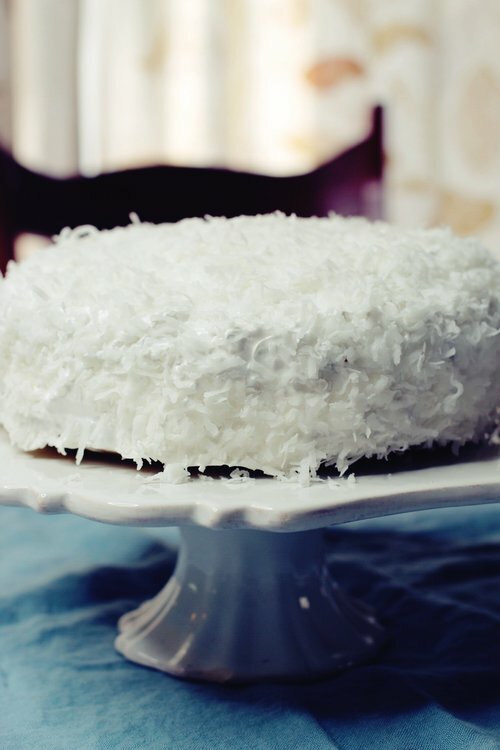 Gather your sponges, lemon curd, and icing, as well as 150 grams of unsweetened desiccated coconut flakes or long-shred desiccated coconut. Use twice as much icing as you think you'll need on the cake. My sponge completely soaked up the icing within 2 days and this recipe makes more than enough icing. The cake and lemon curd can be made the day before, if needed. Store the lemon curd in the fridge. I hope y'all enjoyed this recipe! I loved the icing from this recipe and the cake had a good lemon flavor to it. The cake was a little dry, but otherwise it was another good bake! If you try this, let me know in the comments below or tag @TheLittlePinkBakery on Instagram and use the hashtag #LetsDoughThis so I can see what you made! Stay tuned next week for a quick and easy Coffeecake Muffin recipe for muffins that my husband says are "amazing!" (He rarely uses that word for my practice bakes, so ya'll will want to try this one).